bet you’ll love ‘em as much as we love making them. Our farm fresh popcorn is Non-GMO, popped in coconut oil, and straight from the farm. 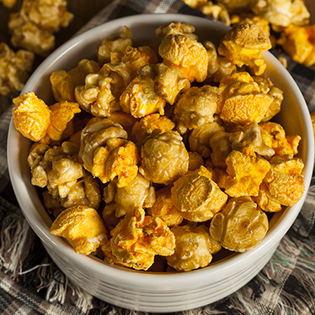 We coat our premium Outrageously Cheesy Cheddarcorn with more cheese per oz. and our made-from-scratch caramel corn with more caramel coating than most regional and national brands. Well don’t take our word for it – grab a fresh batch already! And if you decide to share ‘em – your friends and family will thank you later. Nuts are the ultimate healthy, wholesome snack, and are packed with plant-based protein. Our shelled (no shell) nuts are roasted for Big Flavor in coconut oil. You get to choose raw, roasted (no salt) or salted. We specialize in a variety of in-shell nuts year round. They’re so good we’ll bet even your pets or critter friends will love ’em too. Looking for the pure boost of an energy bar without all the sugar? 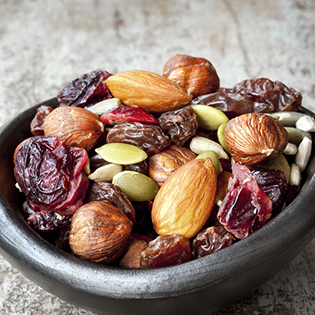 Look no further… grab some of our trail mixes and you’ll be ready to roll. And if you’re looking for a delicious gift for the holiday season, we’ve got that covered too. 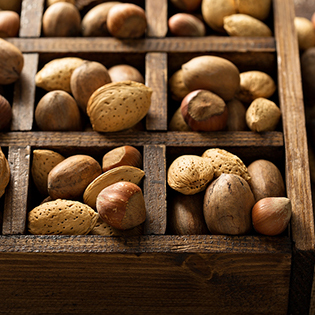 Get ready for the season with our inshell tree nuts if you are looking for ways to boost your holiday sales. 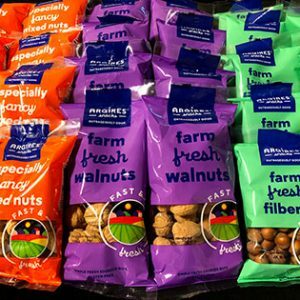 We offer our inshell nuts in modern, colorful and impactful retail packages for domestic and export sales. They come in different sizes and will surely be in demand in stores everywhere. 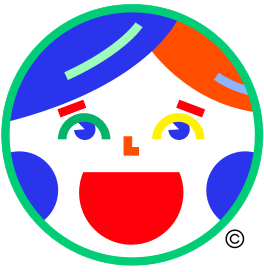 Stay up to date on the latest and greatest from Argires Snacks. To learn more about any of our product lines for your business please contact us directly. We are located in a suburb of Chicago. We would enjoy working with you.